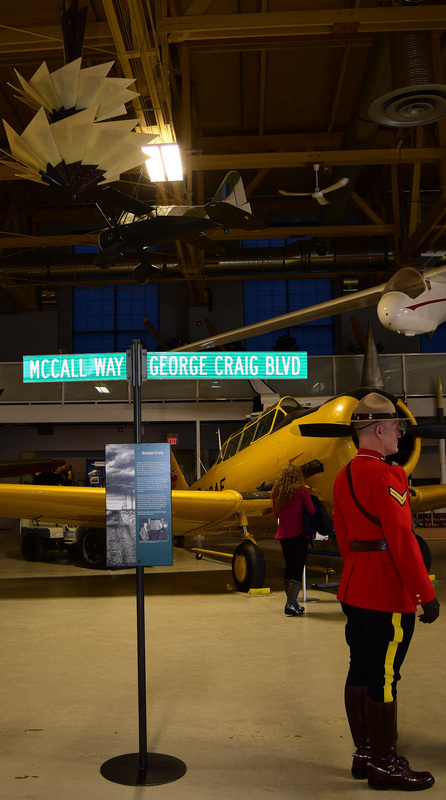 The Hangar Flight Museum on McCall Way N.E. 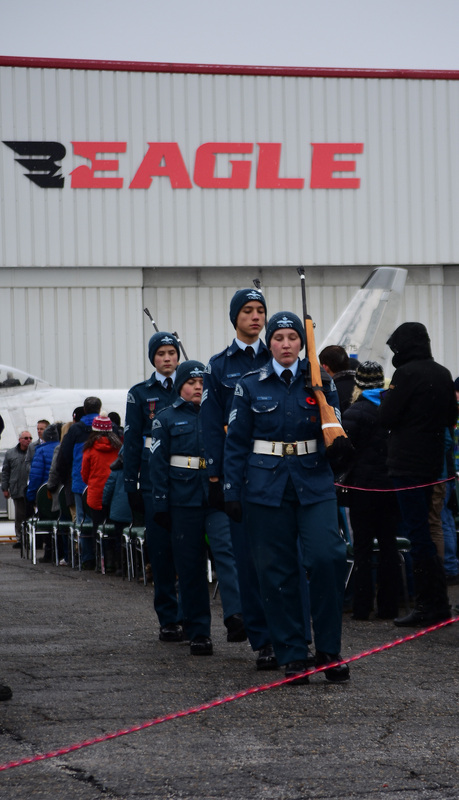 in the city held its annual Remembrance Day Ceremony on Nov. 11. The 2018 ceremony marked both the 75th anniversary of the Dam Busters Raid that took place during the Second World War over Germany, and also the 60th anniversary of the creation of the North American Aerospace Defense Command (NORAD). “The ceremony is in remembrance of the men and women who sacrificed themselves and entered the war on a voluntary basis,” said Tom Elliott, a volunteer for the event. The ceremony started with Sentries taking post at the Memorial followed by a performance of “Ukuthula,” an African prayer for peace. There was a Homily from Rev. Rosemary Bishop followed by a reading of ‘In Flanders Fields’ by a Cadet from 88 Lynx Airdrie Royal Canadian Air Cadet Squadron. Colonel (Ret’d) Jim Donihee, OMM, CD was a guest speaker. 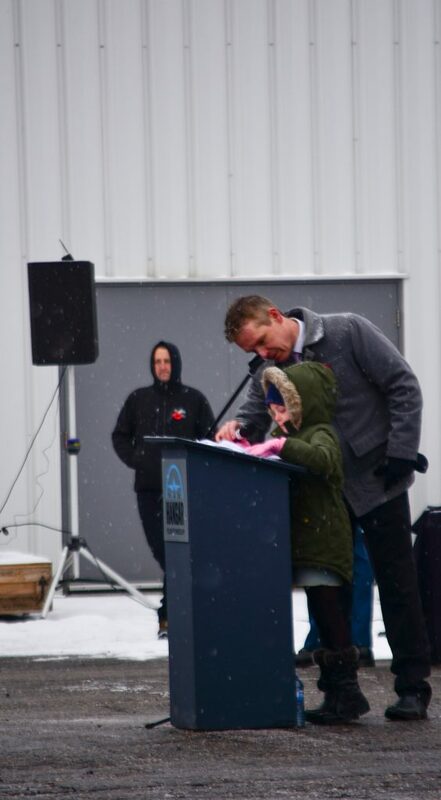 His daughter was also there to give her own speech. The ceremony ended with a March of Colours. Containers were provided for non-perishable food donations to the Veterans Food Bank. 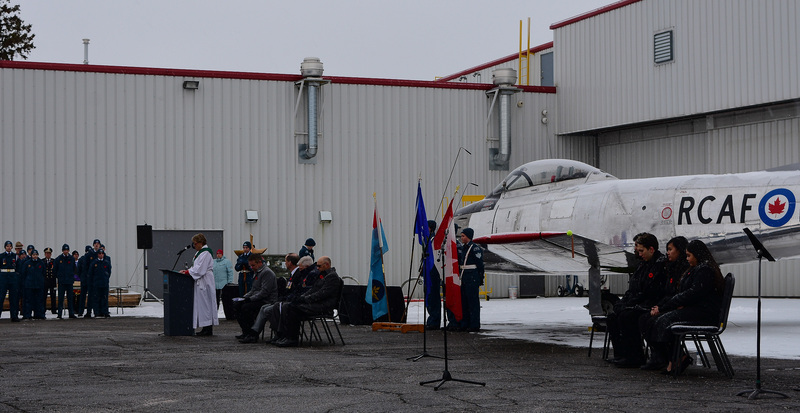 The museum was held open after the ceremony with admission by donation until 4 p.m.
“We volunteers help set things up and help people who have a question about different aircraft or what they were used for in either the First or Second World War or anytime,” Elliott said. The Dambuster Raid happened on the nights of May 16-17, 1943, when Wing Commander Guy Gibson led the 617 Squadron of the Royal Air Force on a bombing raid to destroy three dams in the Ruhr valley, the industrial heartland of Germany. NORAD is a combined organization of the United States and Canada that provides aerospace warning, air sovereignty, and protection for North America. As a news reporting and communications major in the journalism program at SAIT, Jan Michael Martisano is working as a writer for The Press during the 2018-19 academic year.